I don't normally devote an entire post to a link, but in this case it deserves one. Laurence Louër, a research fellow at Sciences Po who published an outstanding 2008 book on Shi'ism in Bahrain, Saudi Arabia, and Kuwait called "Transnational Shia Politics" (Amazon link), has an equally outstanding piece today in the Arab Reform Bulletin at the Carnegie Endowment. It is called "Bahrain's National Dialogue and the Ever-Deepening Sectarian Divide." If you haven't read her book, which is based on extensive fieldwork in all three countries (in Bahrain it seems she manages to meet with everyone save for the king and prime minister), I would suggest you do so. 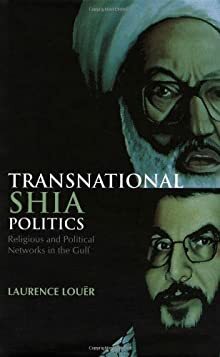 In sum, it argues against the notion of a "transnational Shia crescent" of the sort warned of famously by Jordan's King 'Abdallah II and demonstrates that, in fact, in Bahrain, Saudi Arabia, and Kuwait, Shi'a politics is quite localized and based primarily on decades-old relationships between the aging generation of Shi'i scholars (in Bahrain, e.g., Sh. 'Isa Qasim and S. 'Abdallah al-Ghurayfi) who met in seminaries in Najaf or Karbala'. Thus she traces the inter-personal networks of these individuals to discover how far one can indeed speak of something like a "transnational" Shia program of political empowerment. Especially if you have some familiarity with these countries and leaders to begin with, this book is a fascinating read. Still holding on to its democratic façade, the Bahraini regime has called for a national dialogue to begin on July 2, while simultaneously orchestrating wide-ranging violations of basic human rights. King Hamad announced the formation of a “fact-finding committee” to investigate the cause of the uprisings in Bahrain in a June 29 speech, in an apparent gesture to encourage opposition participation in the dialogue. By-elections are scheduled for September 24 to replace the 18 opposition MPs who resigned in February in protest of the monarchy’s violent suppression of pro-democracy demonstrators who had been emboldened by the general climate of Arab uprising. All resigning MPs were from al-Wefaq (the Accord) National Islamic Party, Bahrain’s largest political opposition group, formed in 2001 from a grouping of different trends within Bahraini Shi’i political Islam. 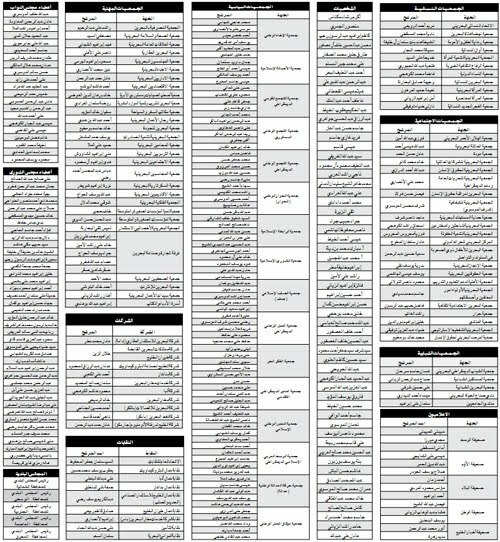 Of the 15 groups listed in the "political societies" column (the middle column, to give you a sense of how outnumbered politicians will be), a grand total of 2 have won seats in parliament in the last two elections. Al-Wifaq, if you were wondering, is not listed. Sh. 'Isa Qasim and S. 'Abdallah al-Ghurayfi are listed, however, in the "individuals" category. Ironically, their names appear just before that of Sh. 'Abd al-Latif Al Mahmud. "UN High Commissioner for Human Rights Navi Pillay also revealed she had held back an assessment mission to the country at the King of Bahrain's request, "because I always encourage credible national investigations." She "held back an assessment mission" on kings request? Since when could dictators ask not to be assessed? "The funny thing is, the Bahraini government had already at the beginning of June agreed 'in principle' to a UN-based mission to do the exact same thing. So presumably a government-appointed "independent" *wink wink* commission is preferable to a UN-appointed ACTUALLY independent commission." Andrew Stephenson is Director, Guards Training School, Special Guards Division at Bahrain MoI. Let's put Yogi in charge of the picnic baskets!